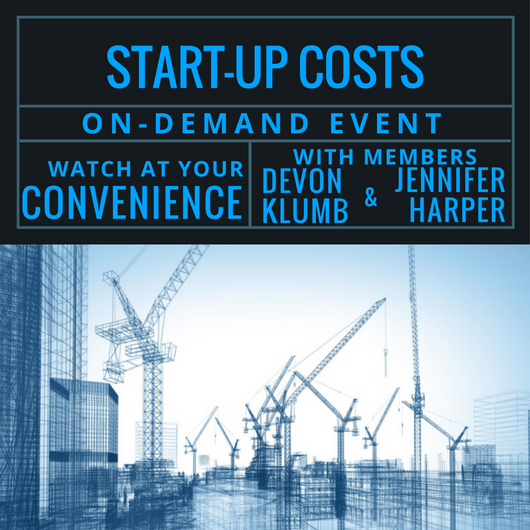 One of the most frequently asked questions we hear at XYPN is, "How much will it cost to launch my firm?" The answer is tricky because there are so many variables. It's helpful to hear from others who have been there, done that. Jennifer Harper and Devon Klumb discuss what changes they would make to their spending in hindsight. Where did your first income come from? 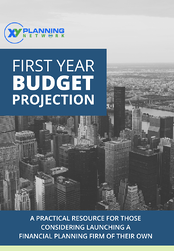 What was your biggest expense in your first year? What did your first year in business cost? Do you need a physical office? Devon Klumb, BFA™ is a Co-Founder of RhineVest & Behavioral Financial Advisor™ in Cincinnati, Ohio. Devon and his team started this firm to help clients take full advantage of these automated investment platforms with the benefit of a human advisor to lead them through the process. Along the way, they have attempted to fix other things they feel are broken in the industry: transparent pricing, flexible meetings, and mobile access to client accounts. Along with Devon, the firm’s founders, Brad Felix, CFA and Andrew Damcevski, CFP® have professional experience with firms across the financial industry: investment management, fund-of-hedge funds, banks, consumer finance, and insurance companies. First-hand experiences with conflicts of interest, high fees, underperformance of active managers, and the exclusion of low-balance accounts led to the formation of RhineVest. With more than 15 years of experience in the industry, Jennifer Harper, CFP®, MBA has been privileged to work with a wide variety of clients- from a young person looking for a ‘smart start’, to multi-generational high net worth families. While financial planning & investing can be complex, her job, she says, is to make them approachable and useful to help clients achieve their goals. Schedule an introductory 30-minute Call our "Grow The Movement" Team to get started on XYPN Membership!